Secure the last built-in kits of the Challenger caterpillar tractor now. The model, then a special series for Challenger, has reached the last number of units. What does that mean? We have a maximum of 28 pieces in stock. The Challenger series was completed in Germany and therefore there are no successors at Agco. You now have the opportunity to buy one last model of this incredible tractor. We have stopped offering at Amazon, see for yourself! Click on the picture and get there. Now available - pease click on the picture for more details. RC Forklift - Micro Series - 1:64 - 464 parts - LED lights at front and backside. 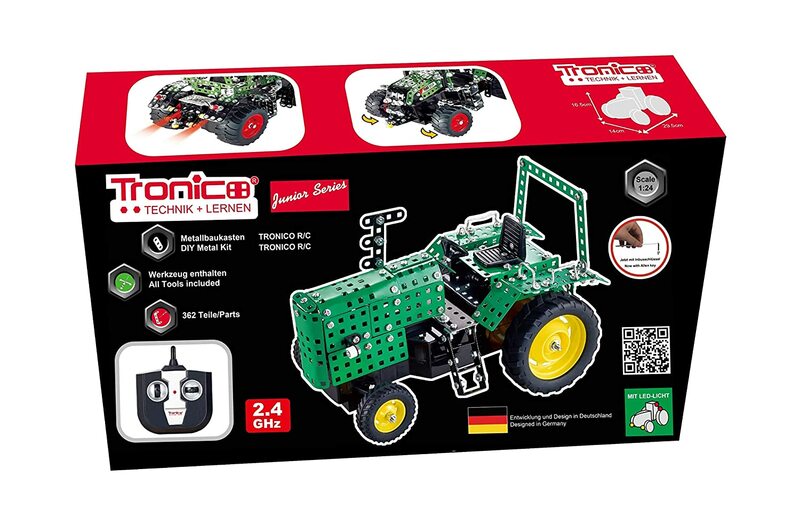 2.4 GHz Vintage RC Tractor - 50 Meter total range -1:24 - 362 parts - LED lights at front and backside. The harvester is really a huge model, after Assembling, you cannot hold it on one Hand. It is simply too big and too heavy. This is a premium product for the advanced model maker and it has got a lot of Details to explore. Please click on the picture to get to the product. 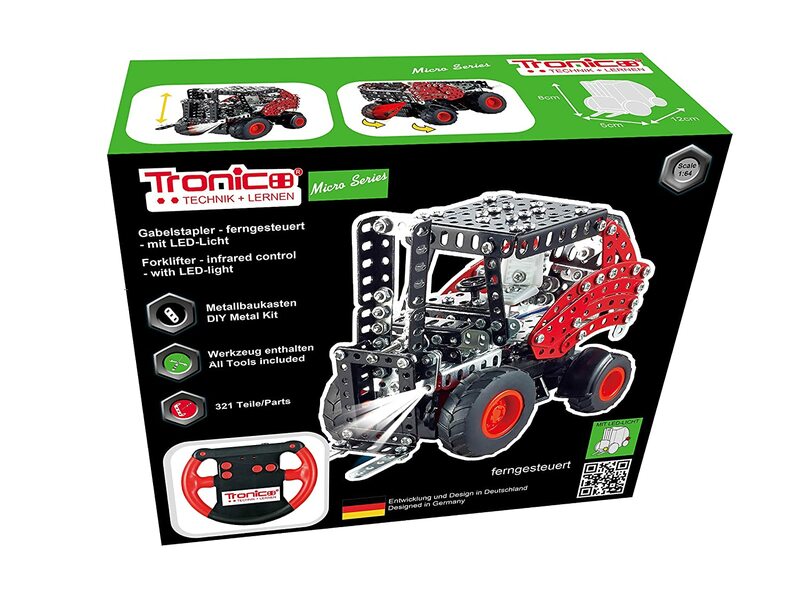 The new series at Tronico metal Construction kit. Experience the world of the most beautiful buildings and place them at home with the tronico metal construction kits. The first is the tower of Paris-Eiffel Tower-with 48 LEDs and a Gsamtgröße of 77 x 32 x 32 cm. The construction kit weighs a whopping 2kg. Please click on the picture to get to the category. This are our Model Makers Thomas and Sven from Germany. 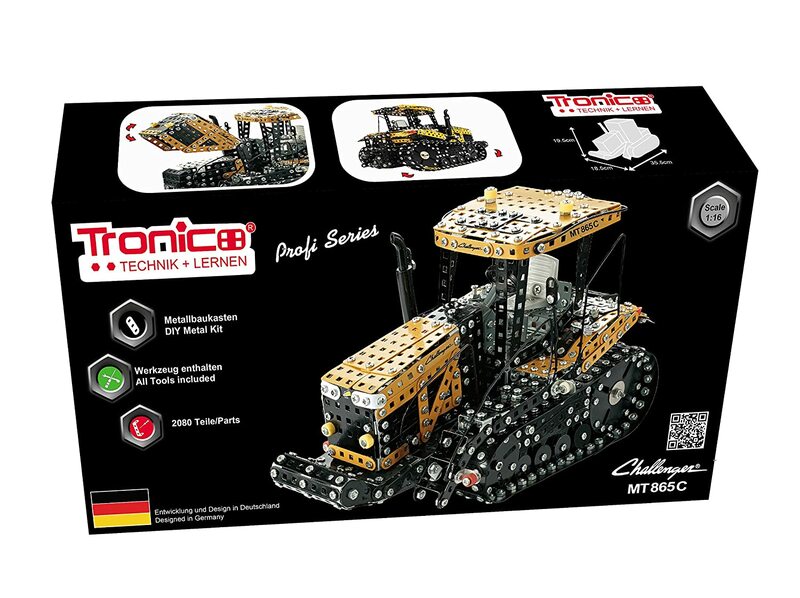 We are proud to announce that Tronico offers now a new category of Metal Model Kits for Schools. The sets have 3 Models (we call it 3-in-1), 5 models and 7 models. 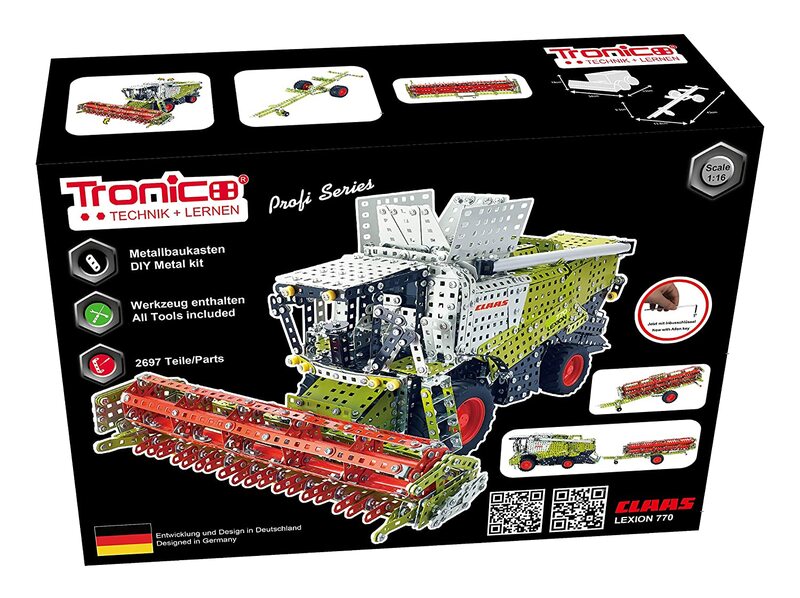 We know that those sets are very popular even for families to start with their children to assemble metal models such as airplanes, cars and trucks.